Choosing a deck that is suitable for a child isn’t always easy. Children are individuals and their tastes and interests vary just as much as those of adults. I put this list together to inspire more than anything, as you will find a wide variety of deck types in this list. My choices are mainly based on my tarot experience with my own children (one boy and two girls – 16,15 and 10). Perhaps you can think of other decks that would be suitable or that you know kids like…? Please let us know what they are in the comments section below! * Tarot of The White Cats – The perfect deck for cat lovers of all ages. It follows the traditional RWS symbology. Suitable for younger children. * The Whimsical Tarot – A brightly coloured fairy tale themed, non-traditional deck. Suitable for younger children. 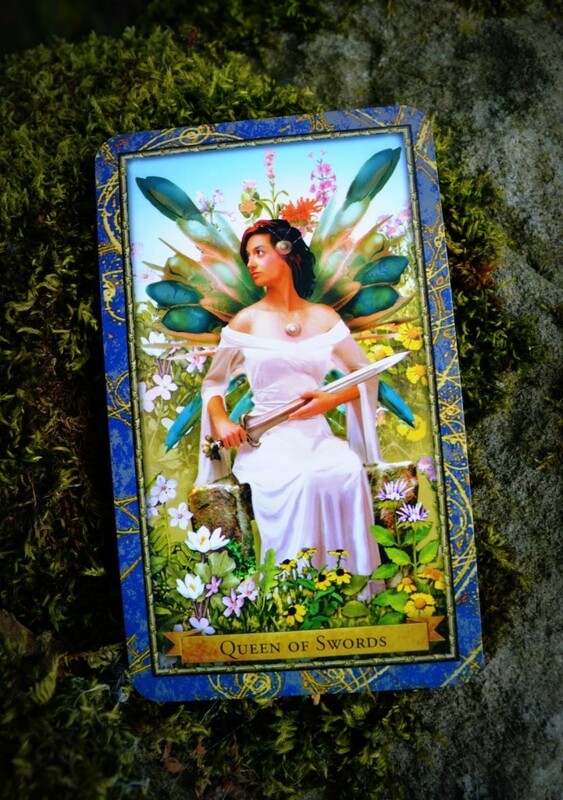 * The Mystic Faerie Tarot – A great deck and book set for all who love faeries. The deck is suitable for younger children but the book may have to wait as it is written for a grown up audience. * The Wizards Tarot – Children who love Harry Potter will probably fall in love with this deck. Suitable for tweens and teens. * The Gummy Bear Tarot – This deck doesn’t really have an age limit but is most definitely suitable for young children. It follows traditional RWS symbology and comes in a cute tin that kids will love. * Manga Tarot – The perfect deck choice for the tween or teen who loves Japanese manga and anime. * Is your tween or teen a lover of myth and fantasy in general and dragons in particular? Then they’ll probably have hours of fun with the Celtic Dragon Tarot deck and book set. * The Tarot of Vampyres – The deck for older kids who love Twilight and Vampire Diaries! * Steampunk Tarot – another popular choice for teens. Comes as a set with a book that has some really great Tarot spreads in it as well as all the card meanings. * The Wheel of The Year Tarot is the perfect gift for older kids who are interested in paganism and the pagan wheel of the year.